Old map by WEBBER - The resolution beating through the ice, with the discovery in the most eminent danger in the distance. Title: The resolution beating through the ice, with the discovery in the most eminent danger in the distance. Size: 11.3 x 16.4 inches. Condition: Contemp. handcoloured aquatint, published by Boydell (and successor), London, 1808[-20], no water mark. Together with a text page (with old repaired tear). 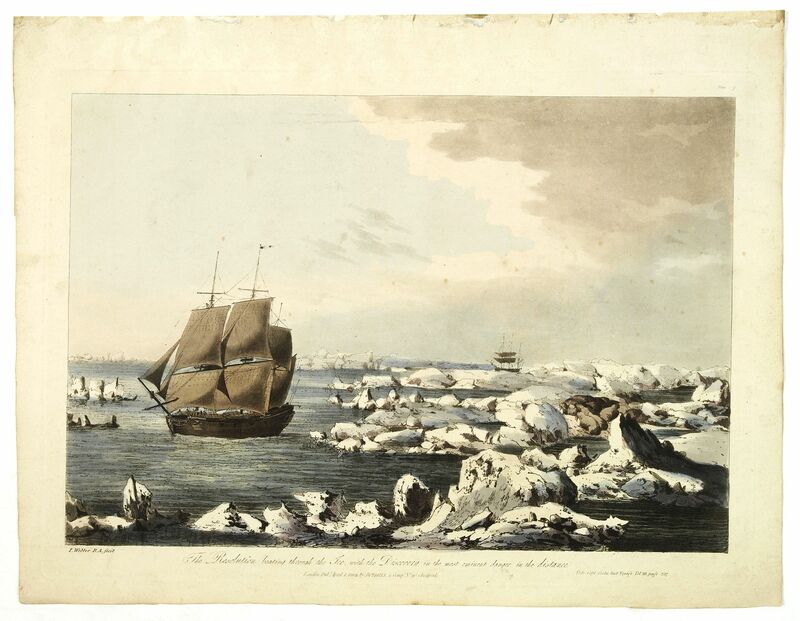 The resolution beating through the ice, off the coast of Alaska, taken from "Views in the South Seas" being a very important and early views depicting scenes encountered while employed as draughtsman on Cook's third voyage, which has been called "the most striking publication resulting from Cook's expeditions". (Parsons Collection 136). Webber was more fully trained than any of the artists of the previous voyages, and he and Cook worked closely together to illuminate "the unavoidable imperfections of written accounts, by enabling us to preserve, and to bring home, such drawings of the most memorable scenes of our transactions, as could only be expected by a professed and skilled artist." (J. Cook & J. King, Voyage to the Pacific Ocean, London 1784, Vol I, p.5). Because he was there with Cook in the field, his paintings "constituted a new visual source for the study of history..." (Smith, Bernard, Art as Information. Sydney, 1978). On his return Webber was appointed by the Admiralty to supervise the production of engravings that were made from his originals to illustrate the official account of 1784, these 12 plates were first published separately by Webber between August 1788 and August 1792, and Boydell first reissued the plates in their present form, with an additional four plates and with descriptive text in 1808, fifteen years after Webber's death. Copies with varying watermark dates are known, but Abbey does not distinguish them as separate editions, nor do other bibliographers: "The title page is dated 1808 in all copies, but the plate imprints are dated April, 1809, and the water mark dates vary widely copy by copy, apparently a feature peculiar to Boydell's color plate books" (Hill). Abbey "Travel" 595. Tooley 501. Hill p.611. Mitchell Library "Cook" 1872. Holmes79. 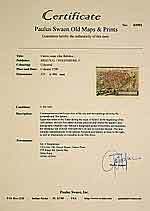 Reference: Joppien & Smith 3.276A.b..